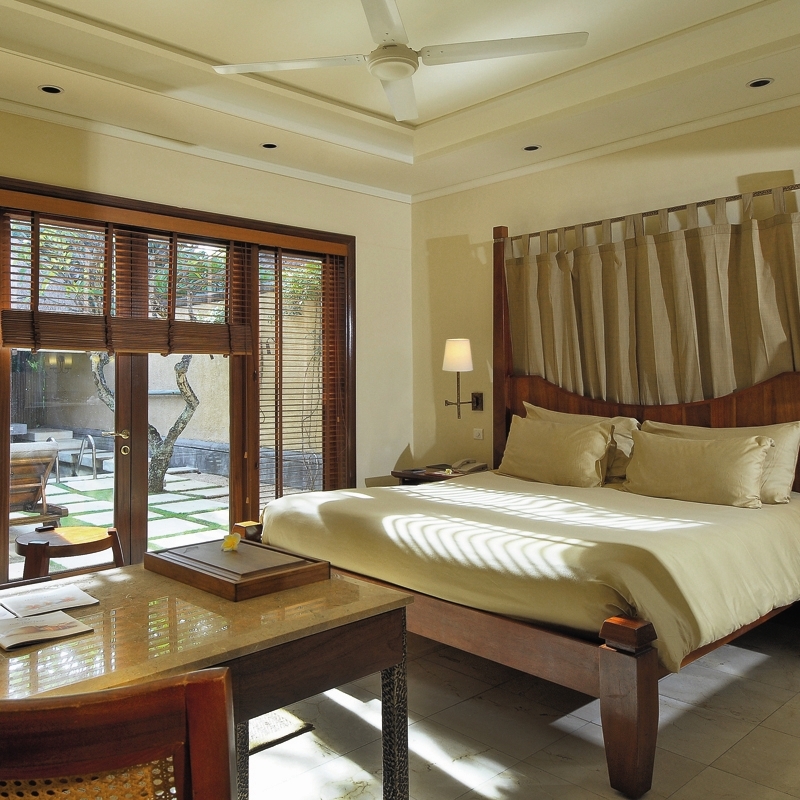 The beautiful guest rooms are comprised of sea-facing Prestige Rooms and 139 Sea View Suites, all of which are complete with a private balcony or terrace – the perfect place to relax. 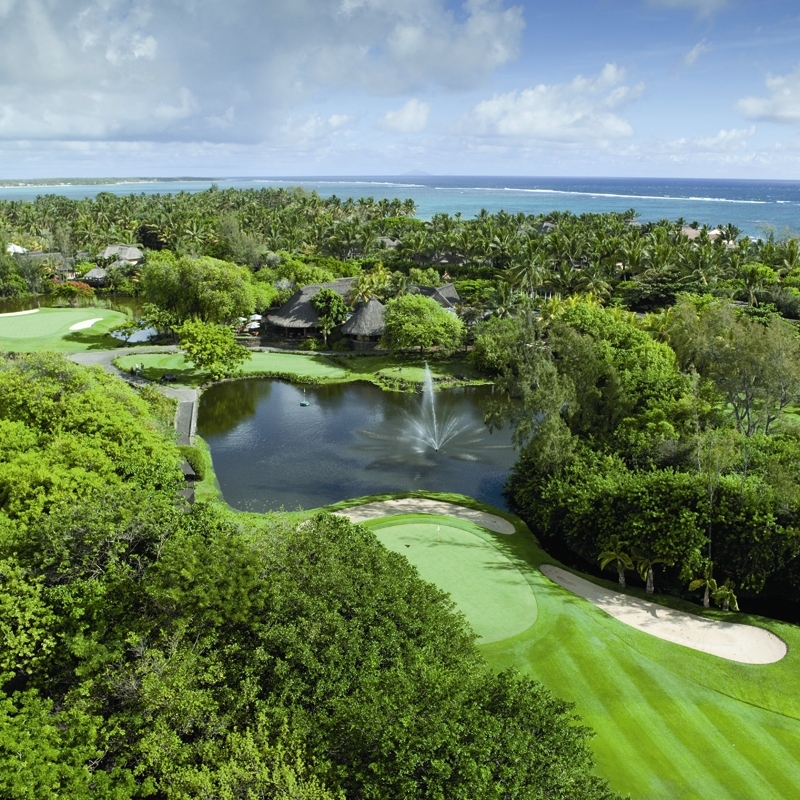 Suites have a separate seating area, as well as a whirlpool bath, and add that extra bit of luxury to your golf holiday in Mauritius. 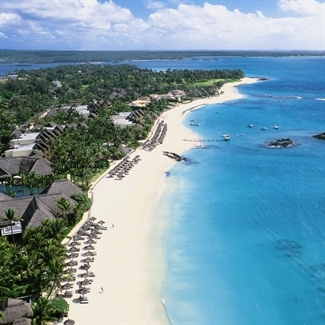 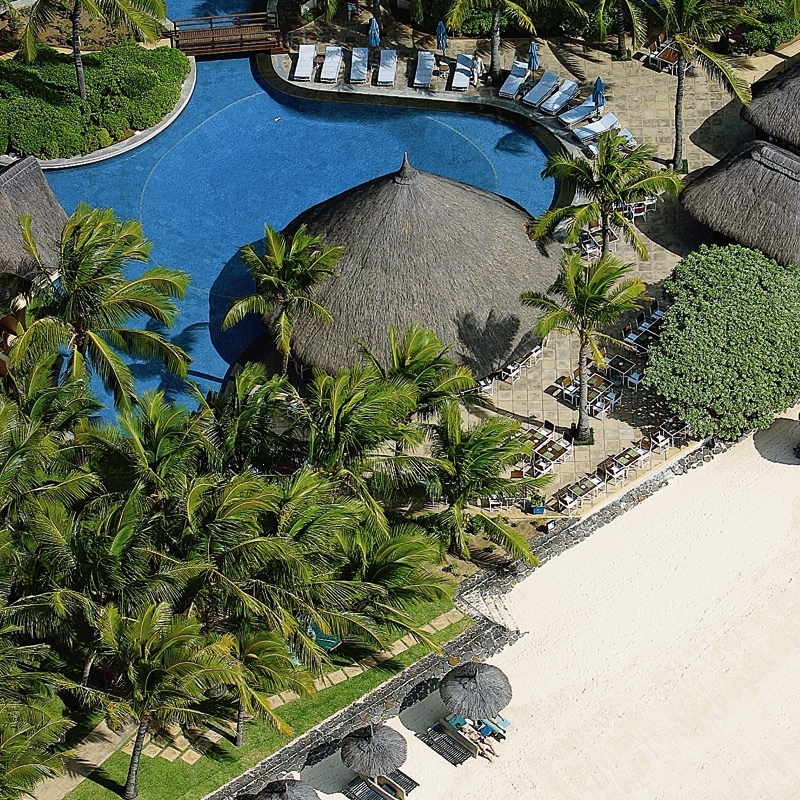 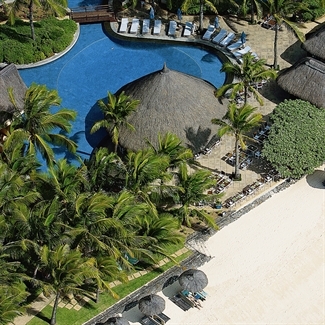 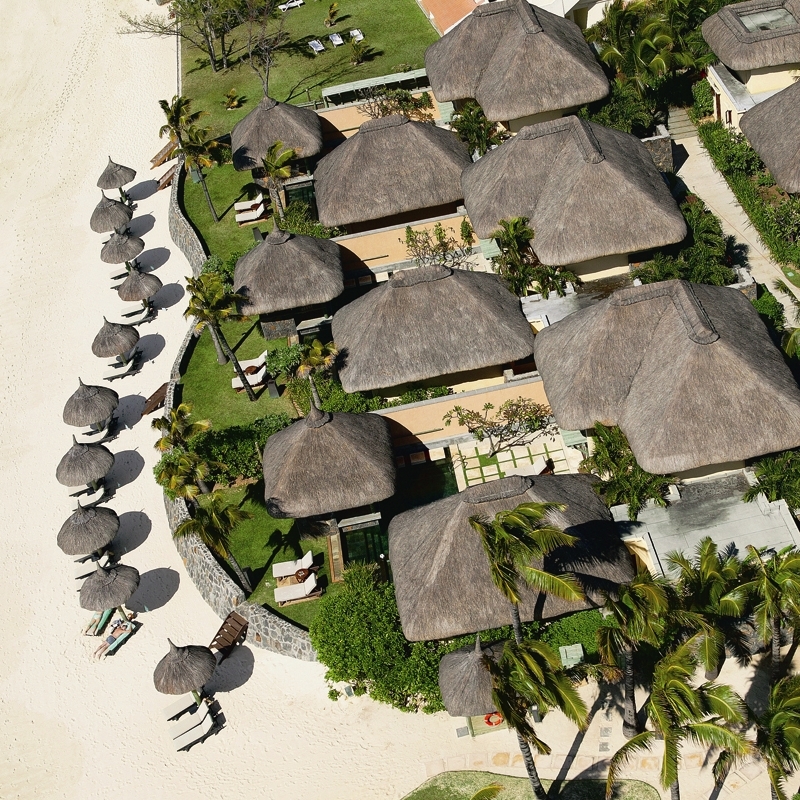 Belle Mare Plage has an enviable reputation for its impeccable levels of service, which is why it is established as such a Mauritius favourite. 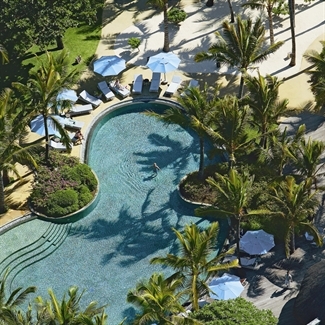 The prestigious Shiseido Spa offers a complete range of treatments aimed at harmony of body and mind. 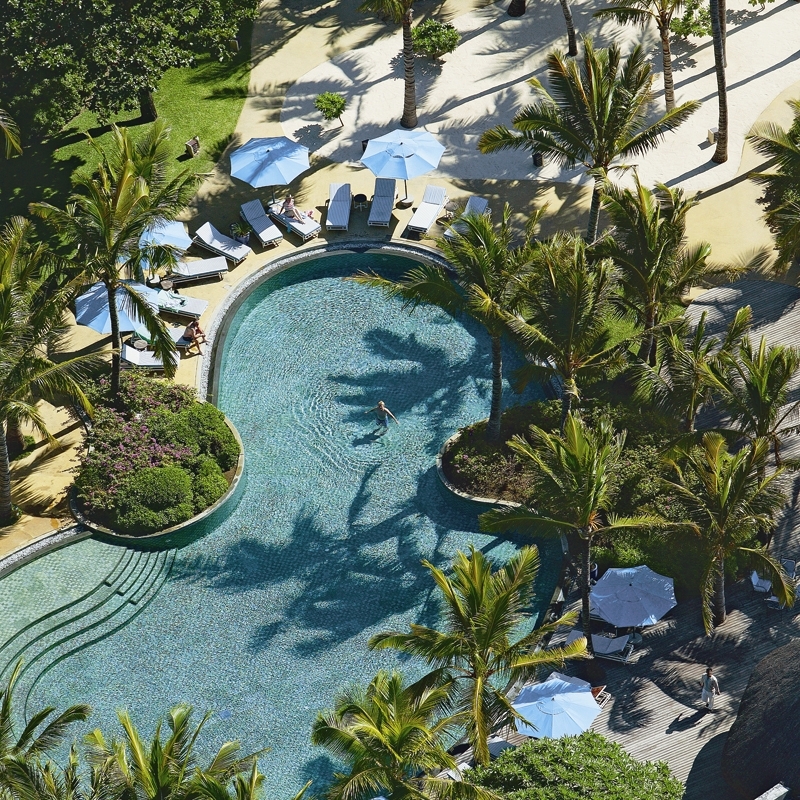 The nearby health and fitness centre boasts a sauna, steam bath, plunge pool, jacuzzi, and an aerobic studio which schedules classes including yoga. 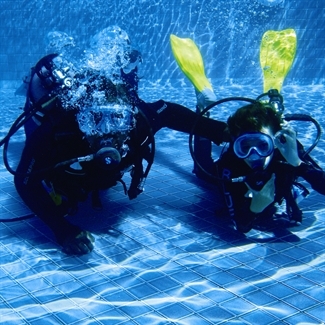 The fabulous beach not only provides a beautiful setting but also plenty for water sports enthusiasts, where you can try activities including kayaking, sailing, water skiing, windsurfing, scuba diving, parasailing and sport fishing. 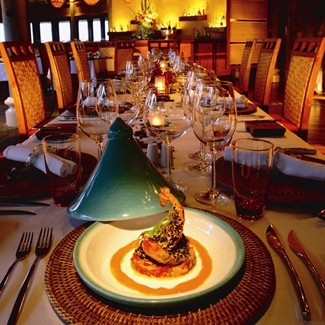 For the very best view of the underwater tropical wildlife take a complimentary trip on the glass-bottom boat. The clear waters won’t fail to deliver! 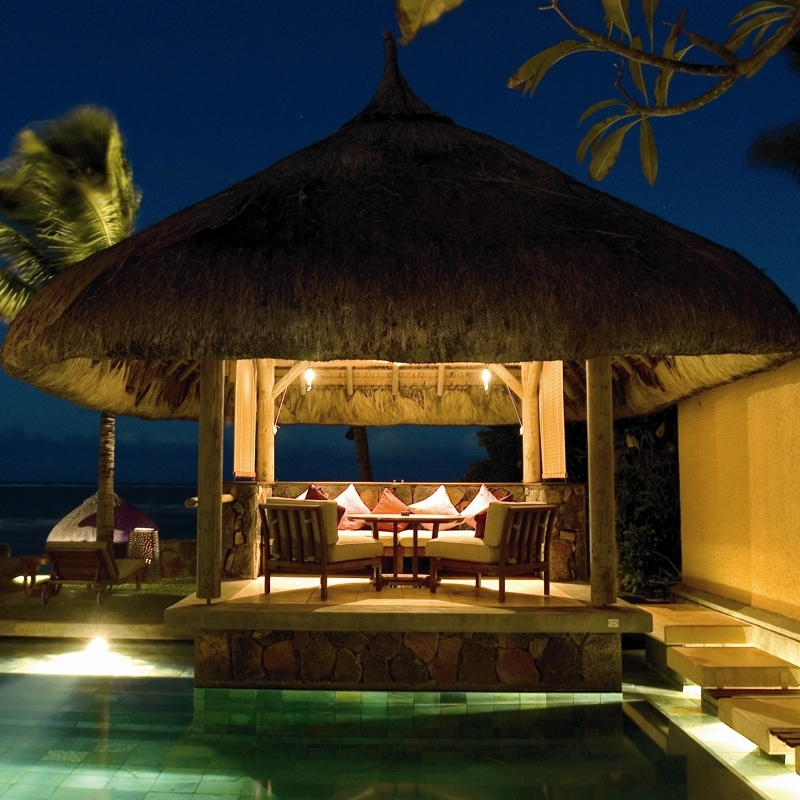 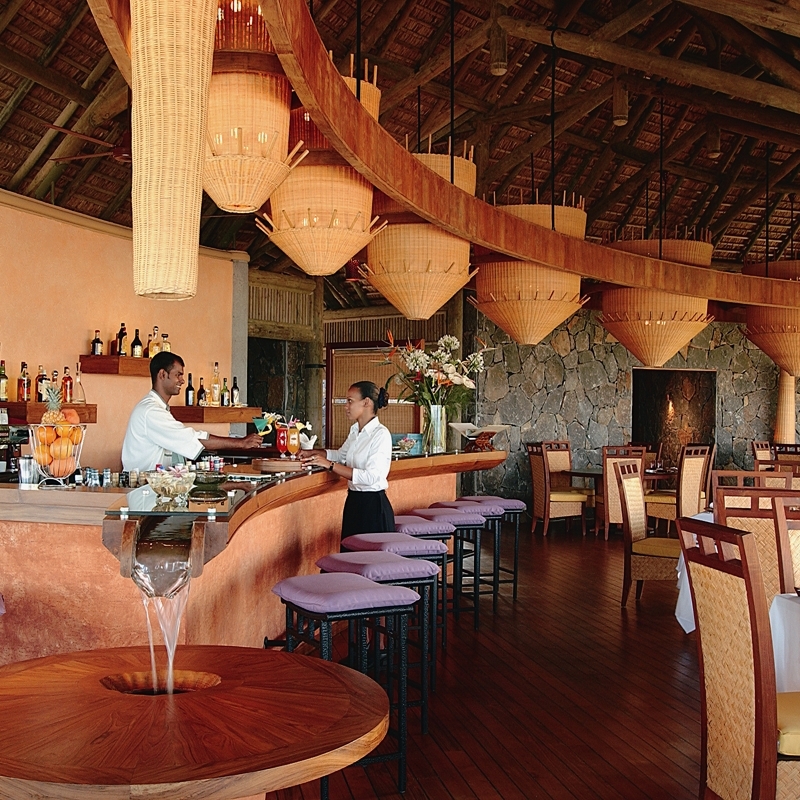 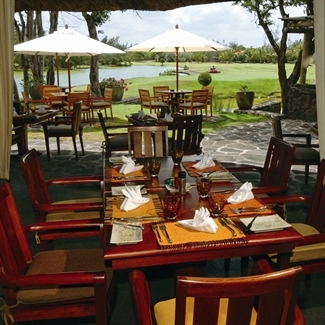 Belle Mare Plage has no less than 7 restaurants and 7 separate bars, one for every day of the week and every occasion! 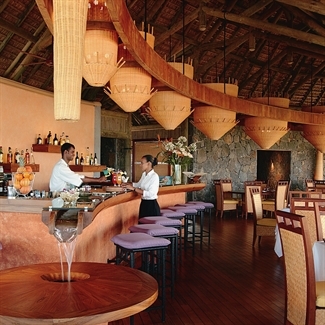 You will be spoilt for choice and won’t be disappointed with the cuisine available. 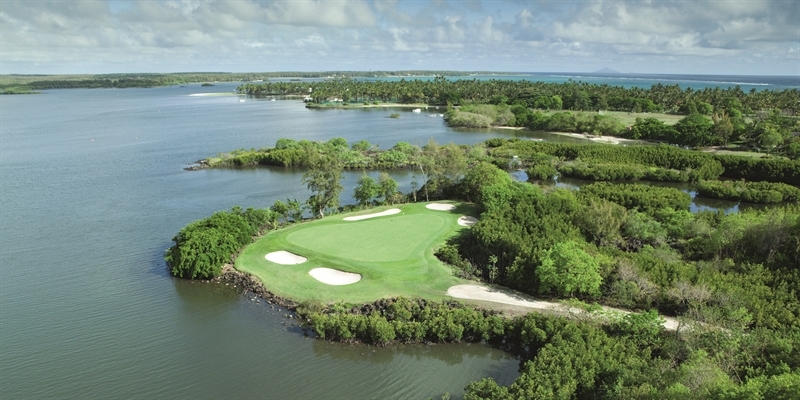 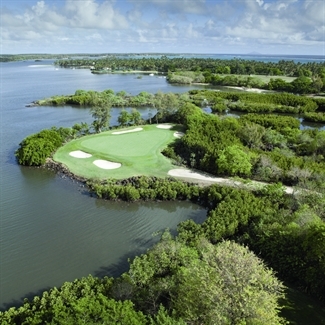 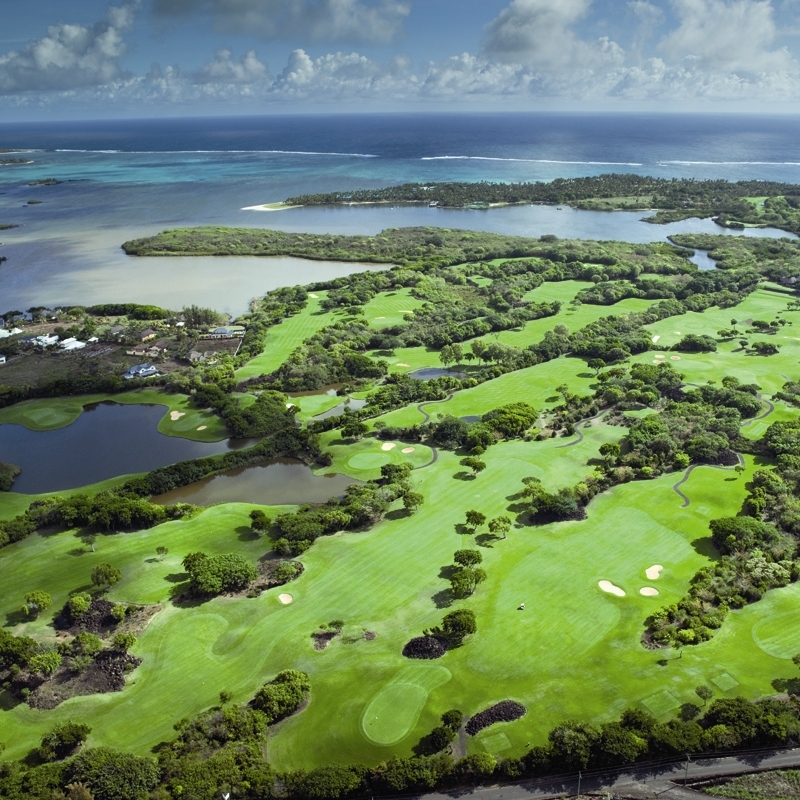 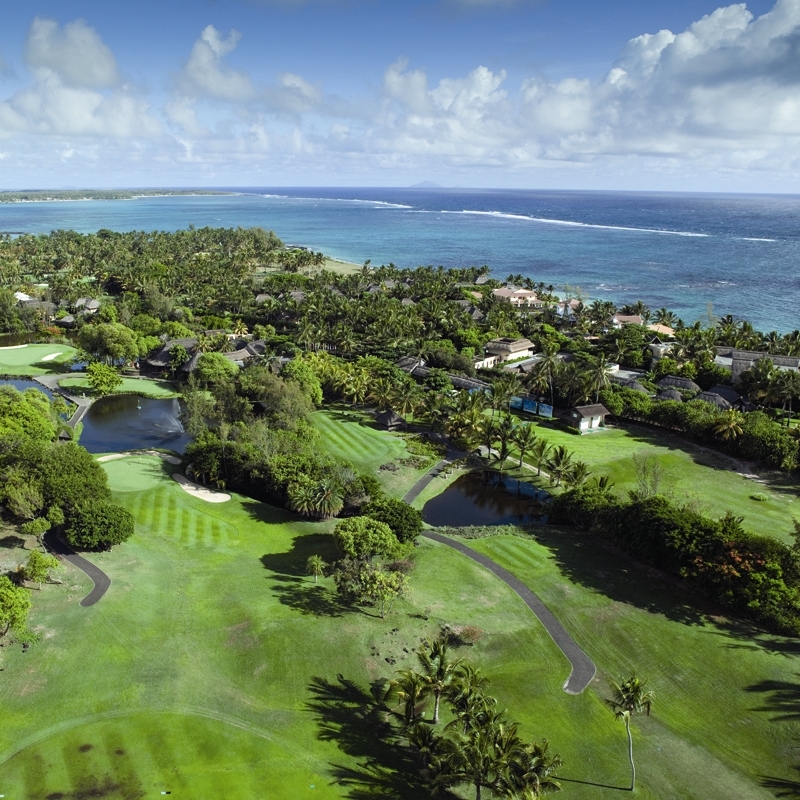 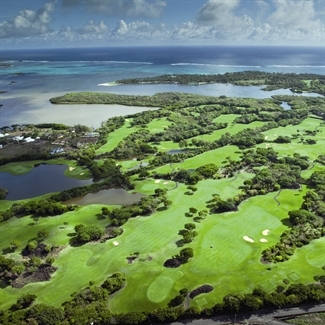 In addition to the above facilities at Belle Mare Plage there is, of course, two 18 hole golf courses; the Legend and the Links and daily golf is included in the price! Overall, a truly fantastic resort providing a luxurious golfing holiday for those looking for something extra special. 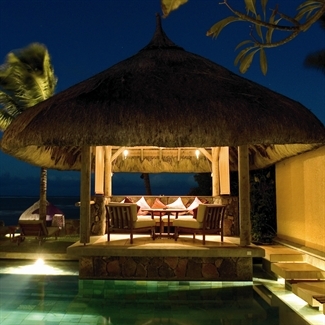 Prestige Rooms (45m²) are sea facing on either the ground, first or second floor. Junior Suites (68m²) are more luxurious and either sea facing or beachfront. 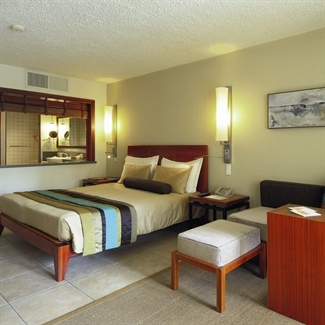 Deluxe Suites (96m²) have a separate lounge. 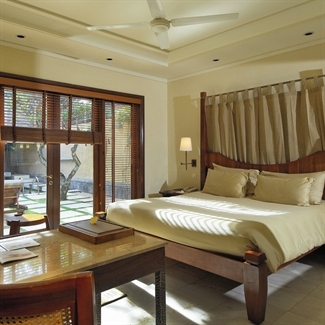 A range of Pool Villas (375-525m²) are also available, each with private pool, two or three bedrooms and private butler service.